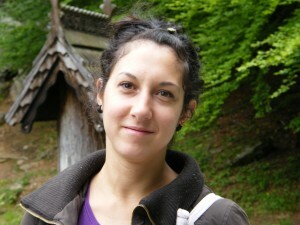 Silvia Necşulescu is appointed as ESR at IULA, Universitat Pompeu Fabra from October, 15 2010 for a period of three years. Her research project aims to overcome the problem caused by data sparsity in the automatic development of language resources, based on distributional information. She investigates a method to discover more possible co-occurring words for low-frequent words, besides the co-occurrences existent in corpus. Her approach relies on a similarity measure between words, based on statistical information of the words usage in context. She expects that this measure approves a transfer of context from a frequent word to a low-frequent word. Muntsa Padró, Núria Bel, Silvia Necsulescu: Towards the Automatic Merging of Lexical Resources:Automatic Mapping. In Proceedings of RANLP 2011. Hissar, Bulgaria. Silvia Necsulescu: Automatic acquisition of co-occurrences for low frequent words, In Proceedings of RANLP 2011 Student Research Workshop, Hissar, Bulgaria.